I could not have been happier with the little cards. I obviously used the bridesmaids cards for my bridesmaids and I used the cards with the blinged out bride for my special ladies. Now I am ready to buy all of my sationary from Brittany. Everything on her website is so cute! I know my friends loved them too, and I am so excited to share my special day with all of them. I am truly blessed to be surrounded by so many genuine friendships. Through these little notes, I was able to express how much each and everyone of my girls means to me. I love my ladies, and I need them with me when I marry my man! Did you do something special to ask people to be in your wedding? Stopping over from the link up. These are adorable. I'm sure your ladies loved them! Those are the cutest! I need to check out her shop! 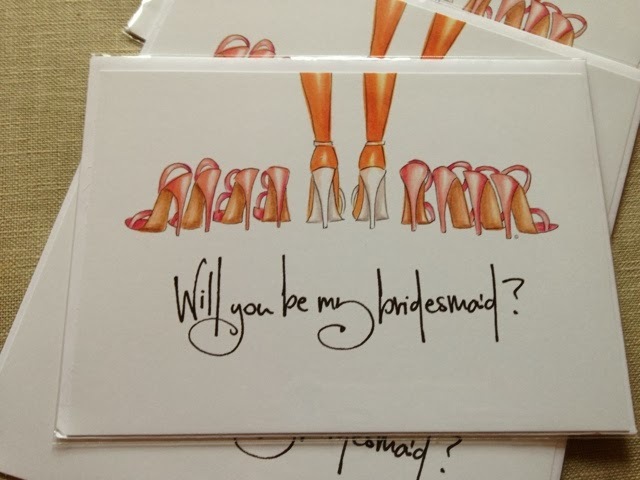 I love reading how brides asked their maids! So fun! The photo with all the bridesmaids in a heart is a little crazy, but it is an awfully cute story. 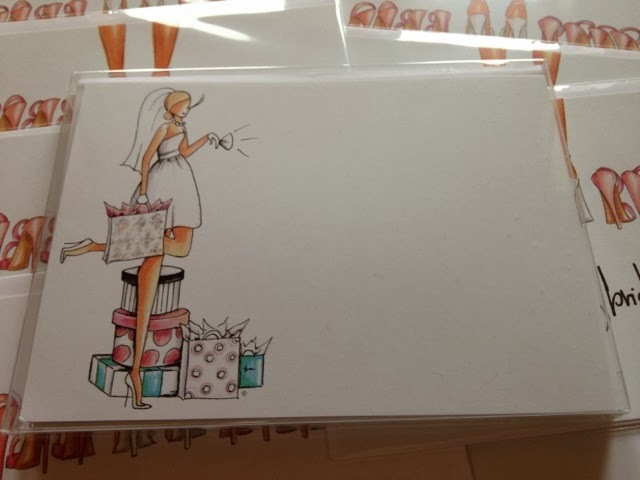 I too mailed out cards for my bridesmaid. I did make them myself though, so they didn't turn out nearly as pretty as yours.